Sweda USA has redone their recycled content baseball caps in a few new colors. The Mega Cap Pet Recycled Structure Cap is now available in Navy Blue, Red, Gray, White, Black, and Khaki. These caps are a 50/50 blend, so 50% recycled PET spun polyester (think old plastic bottles) and 50% cotton twill. 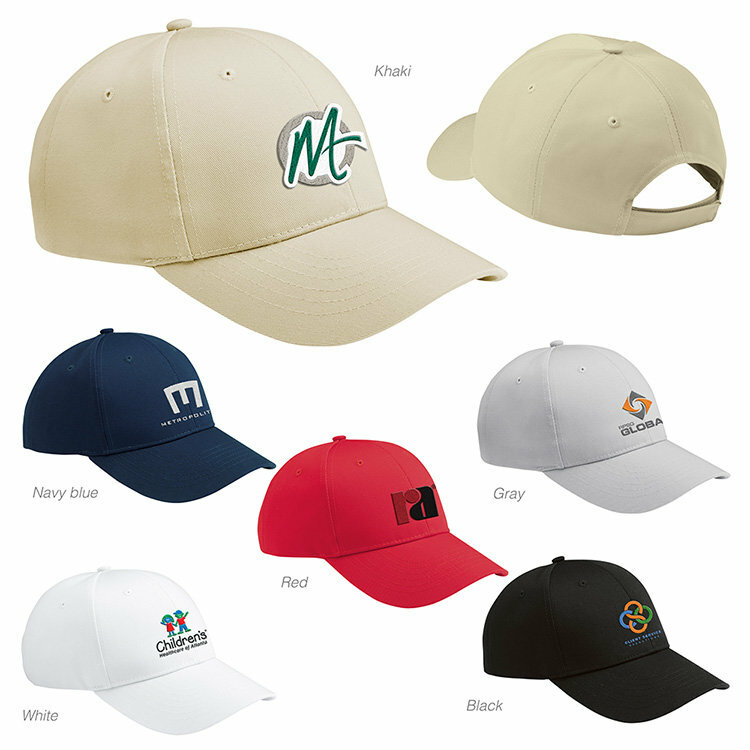 The Mega Cap Pet Recycled Structure Cap is your basic mid-profile cap with pre-curved visor. They have a velcro closure. Sweda USA does decoration in house, so it is one stop shopping, and easy to get virtuals done for this caps. Indeed Sweda includes up to 10,000 stitches in the cost of the cap, with is $9.89 at EQP of 288 units. The caps are great show and event giveaways – no one ever throws out a cap – for companies that have sustainability or waste management as their focus. If you are interested in the The Mega Cap Pet Recycled Structure Cap to promote your own business, or to get a sample, email info@proformagreen.com for information and pricing.